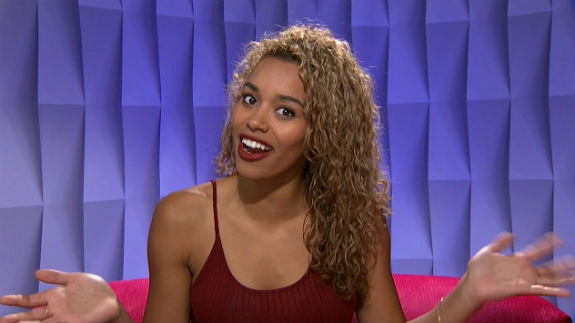 How does the outcome of the Veto competition affect your game this week? Danielle: "Not winning it affected it a lot. I was really hoping to win, to make a big move, to take myself off the block and save myself. I thought that not winning the veto, allowed the other side of the house to have all the control this week. It really put me in a bad position. I felt like I let down the Late Night Jamboree, I felt like I let my son down, and me down because I wasn’t able to pull out the win when it was really needed the most. It definitely affected my game in a sense that I feel like I don’t have any bargaining chip. I don’t have anything to go to someone and say, 'This is why you should keep me over these two' because both of the people that ended up on the block next to me are people that I don’t want to campaign against … I’m either going to go home or lose someone that I adore." Don't miss Diary Room Sessions on Tuesdays and Fridays at 7:30 PM PT / 10:30 PM ET only on CBS All Access!